You are walking on the road. You buy a packet of cookies, unwrap it, have the cookies and throw away the wrapper. 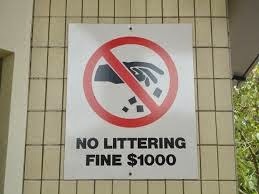 IN IRELAND: You can be subject to an on-the-spot fine of 150 bucks, or a maximum fine of 3,000 bucks. Swachh Bharat is definitely a great move to a cleaner and better India. But, it still has a long way to go. In fact, the only stunning change it did create was the sudden boost in the sales of brooms! I feel really ashamed when I see people of my own society littering and mocking, "Clean India!" It's really irritating. I also notice that people who organize Clean India movements in their locality do it only for showing that they care. We see the same people littering in public places at other times. Often, strictness is the solution where self-discipline doesn't work. 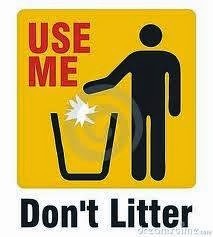 I believe strongly that India should have some litter laws. Without litter laws, Swachh Bharat would be another one of those government programs that fade away and lose significance with time. Also, the government must spend some amount of money on installing trash bins on every street of the state. Re-consider the cookie wrapper situation. Now, you are about to throw the wrapper on the road when you come by a dustbin. Wouldn't you change your mind and throw it in the dustbin? So, the corporation must make sure that every street has at least one dustbin. PLEASE SUPPORT 'LITTER LAWS FOR INDIA'. LET US TAKE CLEAN INDIA MOVEMENT TO THE NEXT LEVEL. I've created the change within myself. Have you? Take oath today that you won't litter anywhere at any situation. Next time when you are on the road and you have some rapper to throw, wait till you see a dustbin and use it. You will definitely feel proud! For creating awareness in the society, one must first take the oath in one's heart. Please support the campaign as an individual.